Cuneiform tablets labeled as “samples”. 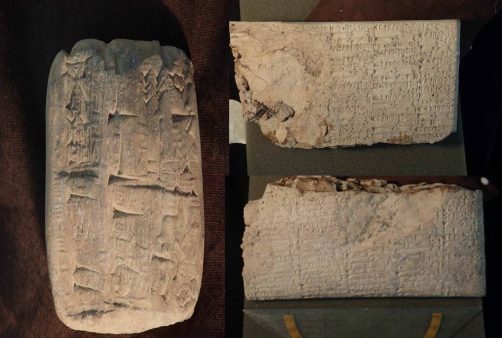 The United States has filed a civil complaint to forfeit thousands of cuneiform tablets and clay bullae. As alleged in the complaint, these ancient clay artifacts originated in the area of modern-day Iraq and were smuggled into the United States through the United Arab Emirates (UAE) and Israel, contrary to federal law.